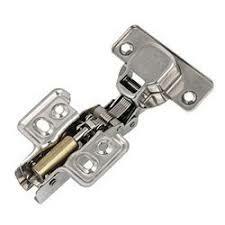 Well known in the industry as a Silver Plated Hinges manufacturers in Bangalore/India. we are engaged in offering a wide range of silver plated Hinges. Hinges are Truss Perfectly-designed, these hinges are developed using optimum-grade silver and other basic materials that are obtained from the celebrated vendors of the industry. Our Silver Plated Hinges manufacturers are available in different pore sizes, ball movement and matt finish to fulfill the broad needs of our valuable customers. These Hinges accessories are suitable for the key properties like dimensional accuracy, durable finishing, and excellent rust resistance. Our Hinges accessories are Extensively used in the interior decoration of buildings. Apart from this, these products are dispatched at the customers' premises in committed time-period to attain the customer's satisfaction. We are one of the leading manufacturers and importers of Architectural Hardware that includes silver plated hinges, tower bolts, telescopic channel, auto hinges, floor spring, door closer etc. Our products are widely appreciated for their flawless performance by our beloved clients. Our products are designed as per the requirements of our clients. Under the guidance of our experts, we achieved the strong foothold in the market for our products. As leading Silver Plated Hinges manufacturers in Bangalore/India, have experience and ability to understand the needs of the clients we captured name and fame to our company.